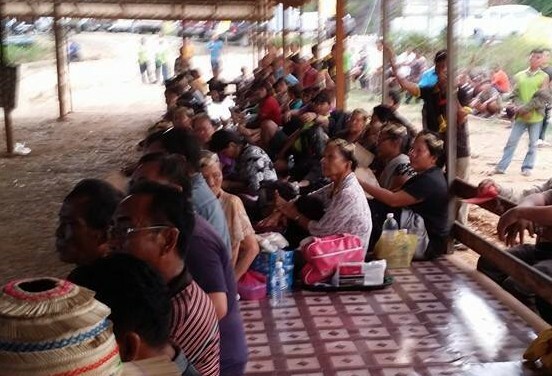 Sahabat Alam Malaysia (SAM) would like to urge the Sarawak government to heed the call of the communities affected by the Baram dam, as expressed through the People’s Declaration against the Baram Hydroelectric Project 2014 released recently. The proposed 1,200MW Baram dam is located between Long Naah and Long Kesseh, 200km from Miri. It is estimated that 20,000 people from the Kayan, Kenyah and Penan communities from 26 villages would be displaced by the dam. Affected communities have begun blockading since October 23, 2013, to halt the movement of heavy machinery intended to be used for the related construction works. A new community facility which functions as a permanent base to carry out daily community surveillance at Km15 and another blockade camp in Long Lama have both been set up by the blockaders. According to the Energy Commission, in 2012, the installed generation capacity of Sarawak Energy Berhad (SEB) stood at 1,352MW, while its maximum demand was 1,229 MW, producing an energy reserve margin of 10%. However, the Bakun dam, categorised as an independent power producer, also generated an additional 1,200MW in 2012. On October 11, 2013, SEB reportedly disclosed to the media that power demand from the Sarawak Corridor of Renewable Energy (SCORE) had exceeded the supply capacity of Bakun, stated as 1,800MW. However, only six out of Bakun’s eight turbines were reported to be in operation in 2013, still generating a total of only 1,200MW. Seven power purchase agreements (PPA) had been signed by then, involving the combined supply of 1,920MW of electricity. Five of the PPAs involved aluminium and manganese smelting plants, while the remaining two were signed with a silicon plant and Persero, an Indonesian power utility. Therefore, additional energy for new SCORE-related PPAs is to be supplied by the Murum dam, which is expected to generate between 250MW and 500MW by year-end. All of the above certainly demonstrate the utter pointlessness of developing another 11 hydroelectric projects in Sarawak, one of which is the Baram dam. First, each of Bakun’s eight turbines has a maximum energy generation capacity of 300MW – its licensed capacity is 2,400MW. Why then, as recent as October 2013, Bakun was still generating only 1,200MW of power? If Bakun is unable to operate at its projected capacity, this would be an additional and continuous loss incurred by the project. Second, the public are right to be concerned about the impacts of such massive development of hydroelectric dams and their accompanying energy-intensive industries in Sarawak on the environment, human health and wellbeing and the country’s finances. Further, if supply is developed exceeding the limits of need, who would have the upper hand in such a situation – the supplier or the buyer? Energy-intensive and dam industries may gain immensely from SCORE, but can the same be predicted for local communities and the public? The 10th Malaysia Plan (2011-2015) reported that in 2009, the electricity coverage of rural Sarawak stood at only 67%. With the proposed supply of power to 76,000 households during the 10MP, coverage is expected to jump to 99% by 2015. We are uncertain as to how these figures were arrived at, but we are certain that in rural Baram in mid-2014, numerous indigenous villages are still without electricity. Last but not least, the opposition of affected communities should be enough to have the Baram dam permanently cancelled. Experience from Batang Ai, Bakun and Murum as well as other dam-affected communities around the world has demonstrated the perils of forced relocation on human wellbeing. Like others before them, the Baram communities’ objections against the acquisition of their ancestral land is firmly rooted in law – native customary rights are proprietary rights, protected under Article 13 of the Federal Constitution, as recognised by our courts. For all the reasons above, we urge the Sarawak government to call off the proposed Baram dam. This is a good and the right call from SAM but rubbish to them who has too much wealth and riches to be gained from its inception to completion. They do not care about who gets pushed aside, how many people they force to move out, the thousands protesting are just pests and nuisance to them, just an obstacle to their final wins and gains. Looking back,the politicians and their rich cronies wins all the time!